Yarn Type SALE 49% OFF! Beautifully soft, brushed winter cotton. This gorgeous yarn comes in a range of gentle tweedy colours. It has a 55% cotton, 31% acrylic, 14% polyester blend, which creates incredibly lightweight knits. There is a design collection for women and girls full of the most perfect knits including textured tunics, easy hoodies, long-line cardies and stylish accessories. Freya is machine washable on a delicate wool cycle. 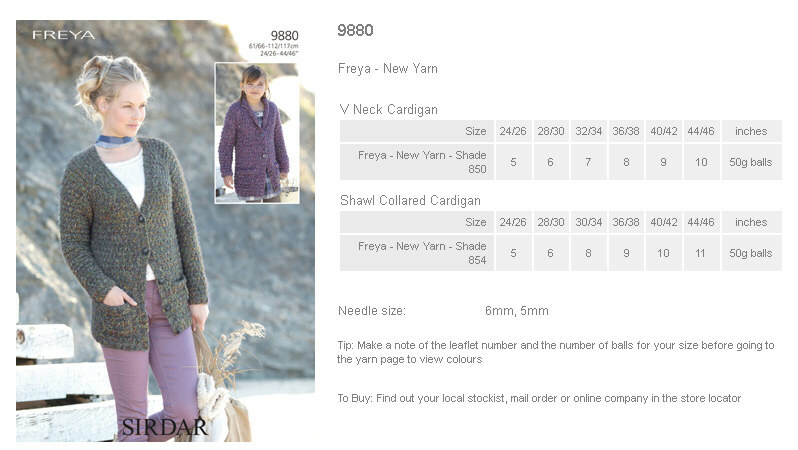 Leaflet with designs for a V Neck Cardigan and Shawl Collared Cardigan using Sirdar Freya. 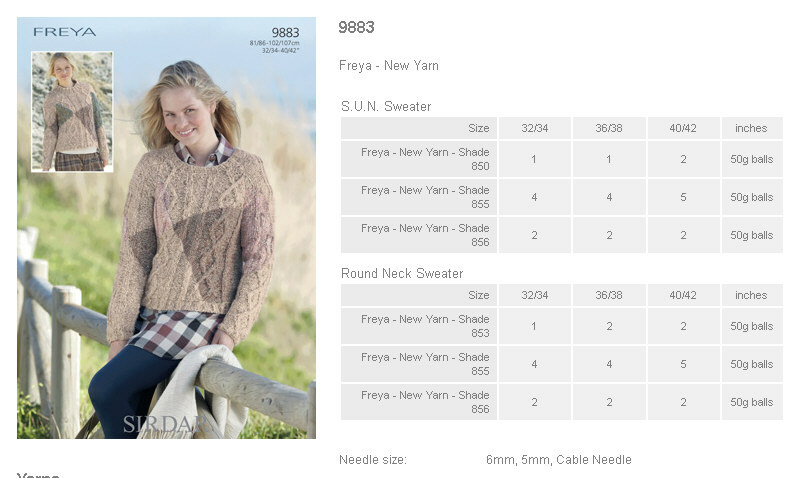 Leaflet with designs for a Sweater and Tunic using Sirdar Freya. Leaflet with designs for a S.U.N. Sweater and Round Neck Sweater using Sirdar Freya. 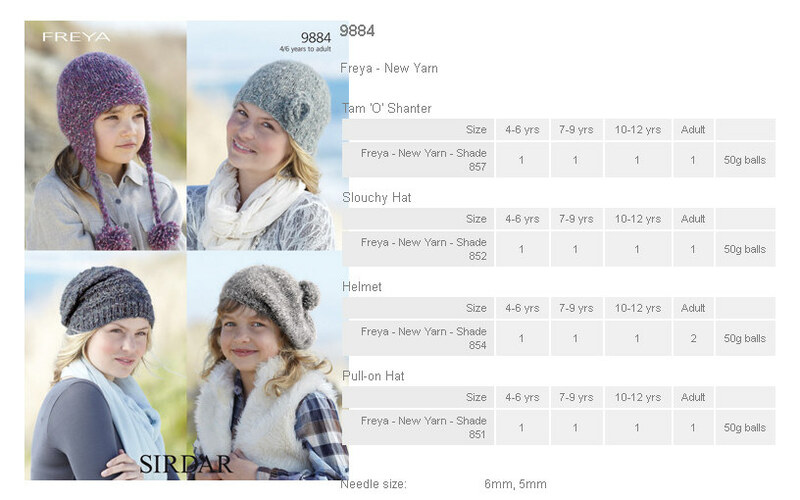 Leaflet with designs for a Tam 'o' Shanter, Slouchy Hat, Helmet and Pull-on-Hat using Sirdar Freya. 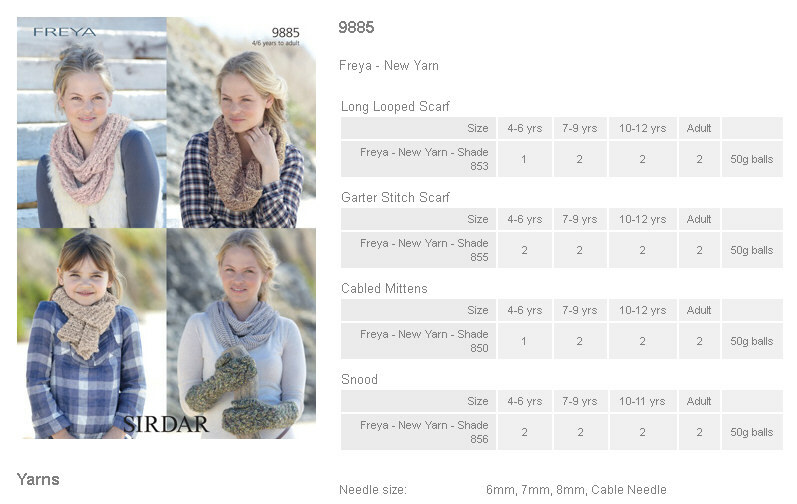 Leaflet with designs for a Long Looped Scarf, Garter Stitch Scarf, Cabled Mittens and Snood using Sirdar Freya. 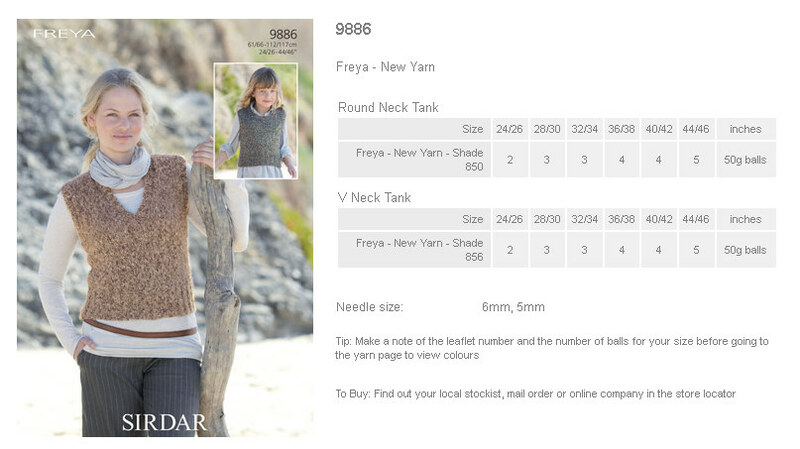 Leaflet with designs for a Round Neck Tank and V Neck Tank using Sirdar Freya. 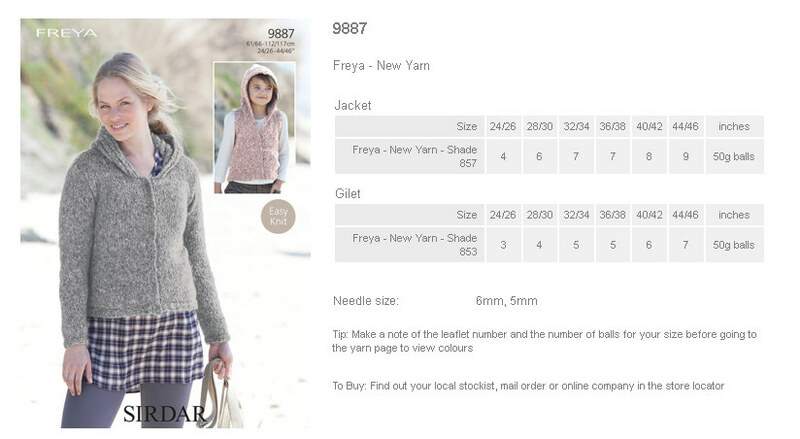 Leaflet with designs for a Jacket and Gilet using Sirdar Freya.